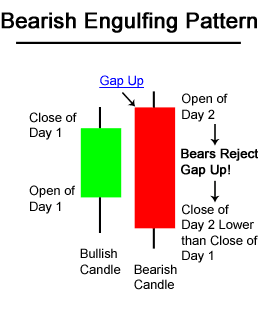 The Bearish Engulfing Candlestick Pattern is a Bearish reversal pattern, usually occurring at the top of an uptrend. 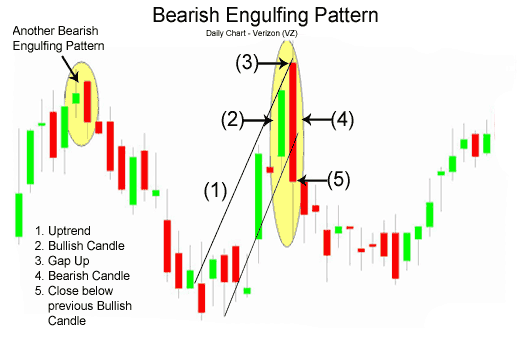 A bearish engulfing pattern is a candlestick chart pattern that forms when a small green bullish candlestick is followed by a large red bearish candlestick and the body of which completely overlaps or engulfs the body of the previous bullish candlestick. The trader does not act only on this signal, but together with other market signals. "Ultimately, traders want to know whether a bearish engulfing pattern represents a change of sentiment, which means it may be a good time to sell"
There are three main scenarios when a trader might buy using the Bearish Engulfing Pattern. A trader might open a short position at the close of the 2nd day when prices have rallied downwards from the gap up in the morning. 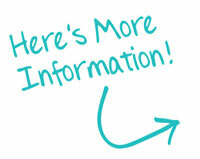 It is common to interpret that the rally on the 2nd day was a significant signal signalling a reversal in the market. A confirmation signal would be a substantial increase in volume that accompanied the large move downward in price. A trader might open a short position on the day after the Bearish Engulfing Pattern forms, it is best to wait until the next day to sell, a confirmation is required that the bearish reversal of the prior day is continuing and was not just a one-day occurrence like a short covering rally. The diagram above shows that a trader might not enter the market short on the day after the Bearish Engulfing Pattern because the market gapped up significantly and even made new highs. A trader using scenario #2 would likely wait for a different potential sell signal. A trader might wait after the bearish engulfing pattern for another signal, mainly a price break below the upward resistance line before entering a sell order. The bearish engulfing pattern shows a potential reversal of investor sentiment and is suggestive of an instrument having reached its maximum value over a given time period. Bearish Engulfing Pattern Detection Software? Take a quick look at the cTrader Bearish Engulfing Candlestick Detector Indicator, this indicator will automatically identify trade setups and send alerts.